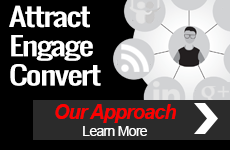 The core of any search or social media marketing program centers on content. Digital assets, rich media, web pages, MS Office and PDF docs as well as content created and shared by consumers all offer opportunities for optimization. If it can be searched, it can be optimized! Online marketing is increasingly competitive and brand marketers world-wide are seeking real advantages that will improve the efficiency and impact of their Social Media and SEO efforts. 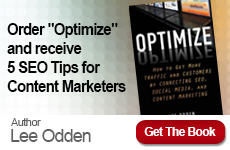 TopRank® Online Marketing CEO, Lee Odden, provides unique insight into content based optimization strategies and processes as well as tactics for sourcing, creation and promotion of optimized content on the social web. Odden will present on Thursday, February 10 from 3:30-4:30 p.m.